My name is Tim Vogel and I’m the purchasing assistant for Dickinson College Dining Services. I’ve been with Dining Services since May 1997. 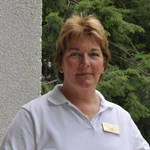 I started as an assistant manager of Dining Services before transitioning to purchasing assistant in July 2015, in anticipation of my planned retirement in October 2016. I work closely with the senior production manager and the warehouse and transportation manager to ensure that all products and supplies are purchased in a timely and cost-efficient manner. Every spring brings a host of food show events that I and other members of the Dining Services team enjoy attending. These shows afford us the opportunity to explore new food and supply products for our operation. These shows are hosted by the food services providers we routinely purchase from and showcase many local and national brands. On March 29, we’ll be attending Feeser’s Food Distributions annual show at The Pa. Farm Show Complex and Expo Center in Harrisburg. Feeser’s is a locally owned and operated business. I enjoy this show because it provides the opportunity to catch up with sales representatives that I have dealt with throughout my career. Later in April, BK Specialty Foods hosts its show in Atlantic City, N.J. BK showcases its organic and grass-fed meats, specialty oils and vinegars, gluten-free, vegan and organic products at this show. Dining Services routinely purchases specialty cheeses, grains and spices from BK. As one of the newer members of the Dining Services Management Team at Dickinson College, I get to work with a few select individuals that focus on keeping all of the items in stock for our culinary staff to prepare the daily meals for our students in the Dining Hall. Over the past few months, we have made tremendous progress in moving toward our goal of having a streamlined ordering and inventory management system. A large part of this is projecting how much food we need to prepare to ensure there is enough on our serving lines for the students, staff, faculty and other customers who visit the Dining Hall. While we still have a long road ahead of us to make our processes seamless and even more efficient when it comes to managing the inventory and making sure the right items are in stock at the right time, it’s exciting to see the progress we’ve made so far. I’m confident we are on the right path to get us where we need to be to serve all of our customers. 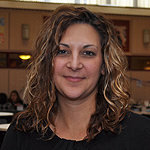 Norma Weston serves as an administrative assistant in the Dining Services central offices. 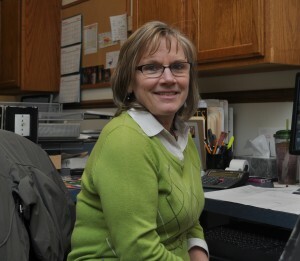 In her 12th year of services at Dickinson, Norma maintains catering orders along with other administrative tasks. When not at work, Norma enjoys spending time with family and friends, especially her two grandchildren. She also enjoys traveling and visiting the beach. This is an exciting time in the Catering Department. Over the last few months we have been making great strides with training, hiring and working on new catering menus. Part of this success is due to the great team we have the hiring of additional caterers to help continue to grow and support our spring and summer catering events. We’ve also implemented monthly training for all of our catering staff focusing on specific areas like customer service, set up details and timing for events which is always helpful and implementing new and innovative ideas so our customers experience the best we can offer at each of their events. Coming in March is a new bartender training class which will allow our staff to be TIPS Certified and learn the intricacies of proper bar service. We’re looking forward to a great catering season. Matt Lentz is in his first year as a cook at Dickinson Dining Services. Matt works as part of our daytime culinary team, preparing food for breakfast and lunch in the Dining Hall. He also supports retail locations and catering event orders. 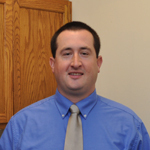 Outside of work, Matt enjoys fly fishing, lifting weights and spending time with his wife. Welcome back for spring semester 2016! We have some exciting new things happening in Retail operations for the spring semester here at Dickinson. Firstly, bagel sandwiches are back! Stop by Union Station or The Quarry and enjoy your freshly prepared deli sandwich on a plain or everything bagel. We are currently looking to source new gluten free products for the retail operations to replace Betsy’s Bakery, which closed at the end of last semester. Please stand by while we explore our options! And the last major change in retail operations for this semester is hot grab ‘n’ go breakfast sandwiches at Union Station. We are happy to provide you with a limited hot selection of breakfast sandwiches from 7:30 a.m. to 9 a.m. Monday through Friday. We are looking forward to serving you this year! As a new semester begins here at Dickinson Dining Services, we’re excited to introduce a new feature to our department’s blog. Beginning next week, each of our managers will create a blog post featuring something that’s crossed their desk recently. These topics could be anything from purchasing trends and commodity pricing to changes in how our department functions to better meet the needs of you, our customer. As we post our blog topics, please feel free to interact with us and ask questions. The goal here is not to simply inform but to also create dialogue and rapport with the campus community. 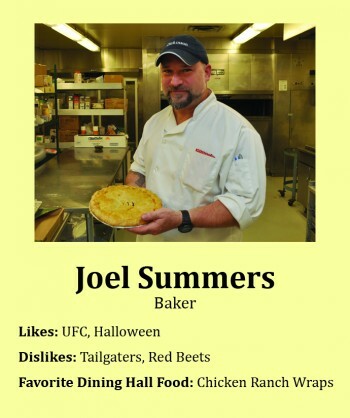 Joel Summers is in his 19th year of service at Dickinson College as a baker in our in-house bake shop. 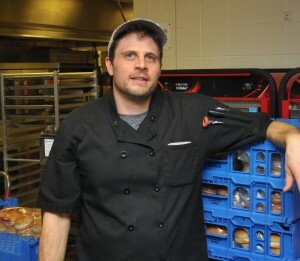 Joel assists in preparing baked goods for the Dining Hall, retail locations, catering events and cake orders. When not at work, Joel enjoys working out at the gym and watching movies. 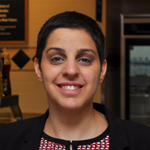 Samantha Skilton is now in her fourth year of service at Dickinson College Dining Services. She works at Biblio Café and The Underground throughout the week. When Samantha is not at work, she enjoys working in her large garden at home and learning new languages. Dining Services recently added Revolet and Anthem beverages to its offerings in the Dining Hall and retail locations. 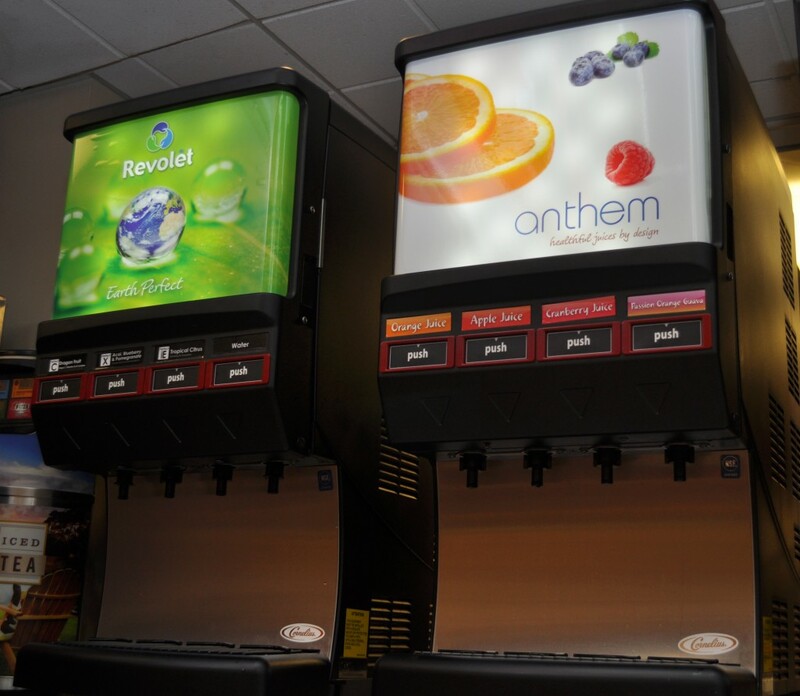 Dickinson Dining Services is proud to announce that Revolet hydration beverages and Anthem juices of Dispenser Beverages, Inc. have been added to the growing lineup of fresh offerings in both the campus Dining Hall and retail locations. “We are very happy to have Revolet and Anthem as a new beverage partners on campus. We want to serve our guests food and beverages that are as natural or as healthy as we can find,” said Errol Huffman, Director of Dining Services. Revolet and Anthem are both made with all-natural cane sugar and other natural ingredients. Eliminated is the use of high fructose corn syrup in both the water and juice products. “Our brand has been built on eliminating high fructose corn syrup and a commitment to using clean ingredients,” Joe Reichwein, Vice President of Sales and Marketing for Dispenser Beverages said. “The product we carried before had a few short-comings such as artificial sweeteners and flavors. After some research and testing we invited Revolet and Anthem to campus for a community sampling,” Huffman said. In April, Dickinson students sampled both products in the Dining Hall and submitted surveys comparing current offerings to the Revolet and Anthem beverages. Students responded with a resounding “yes”, asking that the new products be brought to campus. Revolet and Anthem products are now available in the Dining Hall and Union Station. Anthem juices will be available at Biblio Cafe when it reopens in late August. “The products taste better and are better for you. The dispensers are great, too. Product comes out 20% faster and stays cold in the cabinet longer – this leads to improved quality. 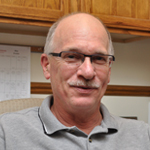 And reactions from guests so far have been great,” Huffman said.